When in Indonesia last month, I met up with a couple of my good friends. 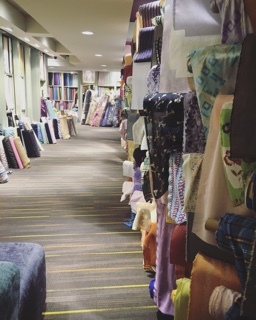 They are both fashion designers, so of course one of our destinaton was the fabric store! 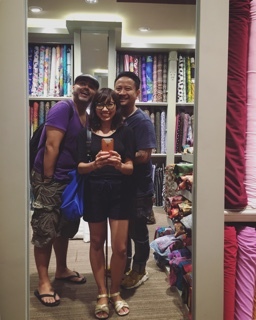 I had often visited fabric stores with them about 20 years ago when the three of us were in fashion school, so it was quite a nostalgic journey. 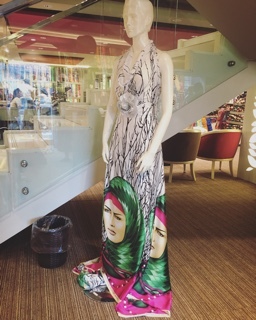 The store is called Pronto Moda in Mayestik area, Jakarta, quite a big store with four floors and a considerable choice of fabrics. 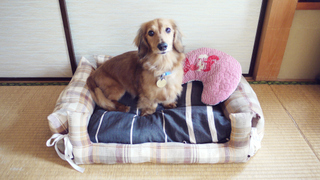 It was not crowded at all, so the shopping experience was really comfortable. 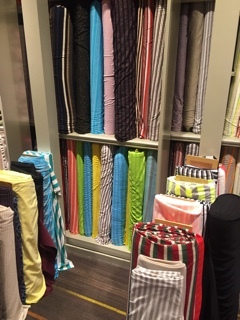 My friend told me that the fabrics in the store are quite cheap and he was right! 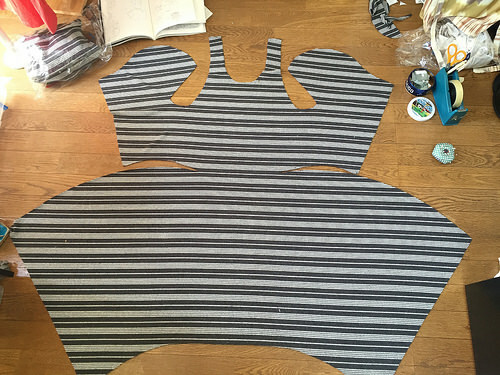 I bought several fabrics there and one of them is this striped terrycloth jersey at about USD3/metre. I’m very happy with my purchases here. 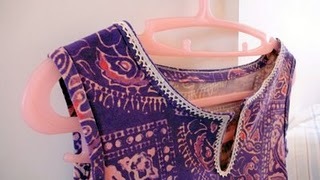 The fabric is quite perfect for summer dress. 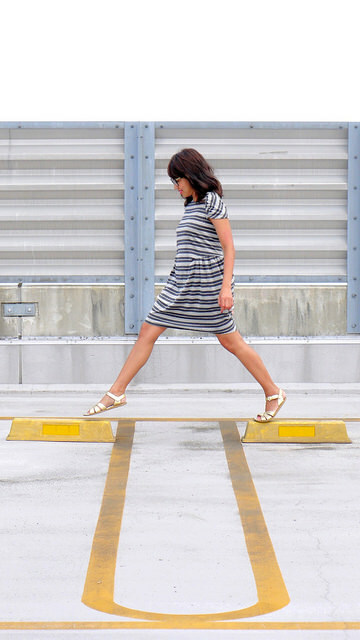 As I was looking for the right pattern, I stumbled across several dresses by sewing bloggers made from the Drape Drape pattern book by Hisako Sato. Actually I have had this book (in Japanese) since 2009 but somehow never made anything from it. This book is now available in English as well. Dress no.3 is a very interesting pattern with only one piece of pattern. The dress is closed with an invisble zipper at the seam across the back. 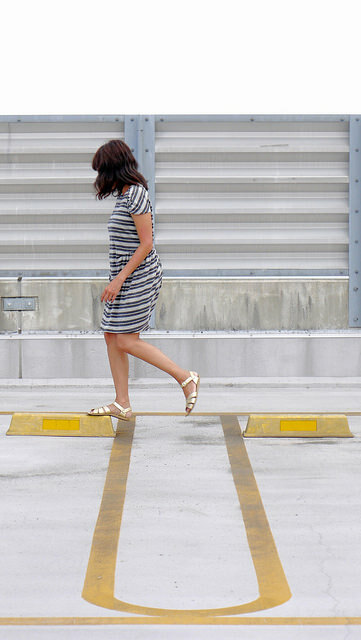 Since many sewing bloggers commented that the dress is rather short, I added 10 cm in length. But at the end, I decided to cut it back to its original length. I guess Japanese patterns are a good fit for petite body types. I cut size M with no fitting alterations. Since my fabric is quite stretchy, I omitted the back zipper. The dress might look rather complicated, but sewing it is quite easy! The instruction has sewing order so you will know which one goes first. The neckline and sleeves hem are simply turned in and topstitched, I used zigzag stitches to keep the stretchiness. At first I thought the dress looked rather shapeless, but I love it immediately after putting it on. 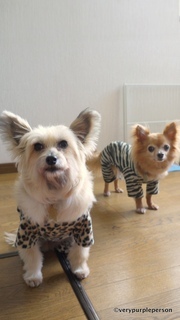 It is very comfortable, like wearing a long T-shirt. I love how the stripes of my fabric are meeting in an upward shape at the back. This is now my new favourite dress! Pattern is dress no.3 from Drape Drape book by Hisako Sato (Japanese pattern), size M.